These double-sided displays weigh 75% less than standard pop-up displays. Connections are labeled for accurate step-by-step assembly. 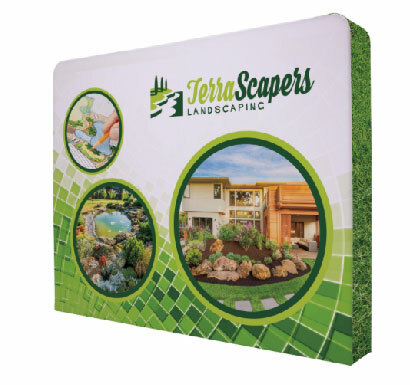 Graphics are dye sublimated on two-way stretch fabric and easily slide over frame for quick setup.